Pragmatic Play invites you to join the explorer John Hunter, as he unravels intricate clues, each time putting him one step closer to unlocking the ultimate goal of Da Vinci’s Treasure. 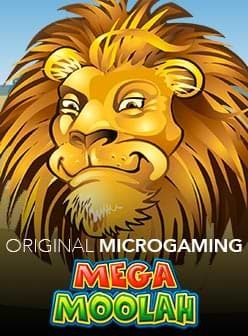 This is a 5-reel and 25 fixed paylines slot featuring progressive free spins with increasing multipliers and gamble features for the chance of up to 48,000x bet! As is typical of a Pragmatic Play slot, the artwork is indeed one of the highlights of the game with reels overlaying a map of the world. Beautifully-crafted symbols include John Hunter, a book, backpack, contraption and crossbow. There are six lower-paying symbols made up of the 9, 10, J, Q, K and A, poker icons. The graphics are pleasing and accompanied by an adventurous melody making you feel like you’re about to be whisked away on some wild adventure. The Leonardo da Vinci wild can substitute for any symbol except the bonus symbol. The symbol can appear on the 2nd, 3rd, 4th and 5th reels. 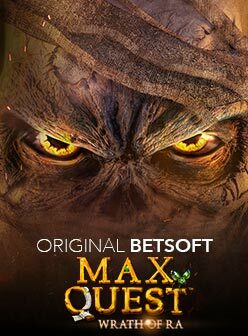 A bonus game can be unlocked by three bonus symbols appearing on the 2nd, 3rd and 4th reels to unlock one of three random bonus games: Map Quest, Progressive Multiplier Free Spins and Prize Picker. For the Prize Picker, choose one of three oil paintings presented to uncover the prize hidden behind it. For the Progressive Multiplier Free Spins, you start with 12 free spins with a 1x multiplier. After each spin the multiplier increases by 1x. It is possible to re-trigger 12 additional free spins in the same way, up to a total of 60 free spins. For the Map Quest Bonus Game, there are 23 points each of which are a potential money award, along with a wheel of fortune. With a spin of the wheel, you advance along the map reaching different points. You can advance 1 to 5 steps or land on the ‘Game Over’. This bonus game ends only when you have reached the 23rd point on the map or receive the “Game Over” message. At the close of any of the bonus features you have the option of collecting your winnings or continuing to the gamble feature for a chance to win x2, x3, x4 or x5. Choose poorly and you will lose your gamble amount. Da Vinci’s Treasure slot has a high volatility meaning that you may need to play with a higher bankroll to play long enough to unlock a large prize. Bets can be varied from as little as €0.25 to as much as €125, with an RTP of 96.53%. If you’re ready to go on the adventure of your life, then we invite you to get started by visiting one of our recommended casinos.